Best Wordpress affiliate plugins to create an affiliate program with Wordpress? iDev Affiliates, OmniStar Affiliates, Ambassador, LeadDyno, WP Affiliates, Magic Affiliate, Yith Affiliates, itThinx Affiliate Pro, Affiliate Royale, AffiliateWP, Ontraport, Ultimate Affiliate Pro, Wordpress Affiliate, & Post Affiliate Pro are the best affiliate plugins on the internet. This list includes the best affiliate plugins to help you create your own affiliate program for your blog, online store, or business to boost your monthly sales. They're all easy to install and you can hit the ground running in a few minutes. Also, you can start sending affiliate invites to potential bloggers or social media influencers to gain brand recognition within an hour of installation. In this post, we'll be discussing the best Wordpress affiiate plugins to create an affiliate program with Wordpress. What is an affiliate program? An affiliate program is one of the best ways to generate income and traffic for your online business. Affiliates are paid commission for referring any completed sales to your online business. It's the perfect solution for businesses who don't have massive marketing budgets; in addition, an affiliate program is a performance based compensation program. In other words, affiliates don't get paid unless they make a sale. It's completely different from paying a social media influencer for a sponsored post. With an affiliate program, you can track a blogger's, or influencer's, actual influence by the traffic and sales they refer. It's the safest bet when it comes to ensuring your marketing dollars provide a direct ROI (i.e., Return on Investment). In addition, an affiliate program weeds out "fake" influencers who buys likes, comments, followers, and participate in engagement groups. In other words, an affiliate program protects you from getting ripped off by "fake" influencers because they only get paid for actual influence. It's one of the reason why we highly recommend implementing an affiliate program for your business. iDev Affiliates is the oldest affiliate plugin on this list. They've been around for more than 15 years helping businesses generate an army of affiliates and brand ambassadors. In addition, the greatest iDev Affiliates asset is it's compatible with all the major eCommerce platforms like 3dCart, BigCommerce, Weebly, Ecwid, Shopify, and more. Plus, it's easily integrates with PayPal and Stripe. You can also used iDev Affiliates with Wordpress membership plugins like MemberMouse, MemberPress, Ontraport, Magic Members, and WooCommerce Subscriptions. 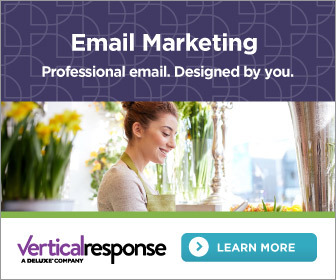 In addition, iDev Affiliates integrates with Vertical Response, Aweber, MailChimp, and more. Check out the full list of integrations here. Why is this important? It's important because you won't be tied to a single platform forever. If you decide it's time to scale or switch service providers, you can move your data to other eCommerce, email marketing, payment gateways, and membership platforms. Plus, you get to keep using iDev Affiliates. You don't lose the license. iDev Affiliates lets you implement multiple commission tiers. You can implement a payouts based on percentage, flat rate, pay-per-click, pay-per-lead, coupon codes, per-product, affiliate recruiting, and more. With iDev affiliate, you can customize your email templates and branding. In addition, you can use tons of marketing creatives and banners like social media posts, videos, banners, QR codes, lightboxes, email, and text ads to name a few. It comes with a tons of reporting tools and you can export your data into a CSV, PDF, or Excel files. Lastly, there is an one-time payment option if you don't want to pay for a monthly subscription to use iDev Affiliates. Omnistar Affiliates was voted the #1 affiliate software. Well, that's what's stated on their website. Like iDev Affiliates, Omnistar's greatest asset is it's compatible with all the major eCommerce platforms like 3dCart, BigCommerce, WooCommerce, Wordpress, Amazon, Shopify, and more. Plus, it's easily integrates with PayPal. Omnistar Affiliates doesn't list many Wordpress integrations. However, it should be compatible with all the major membership plugins, or major plugins, since it works with Wordpress. In addition, with Omnistar, you can integrates MailChimp account and a few more email marketing providers. Plus, you can use Omnistar in conjunction with LiveChat. In addition, you can integrate Omnistar with your Ordoro dropshipping account. Check out the full list of integrations here. I really like this about Omnistar and iDev Affiliates because I don't like being tied to a single platform. Omnistar Affiliates lets you implement multiple commission tiers. With Omnistar, you can reward affiliates with commissions, coupons, gift cards, discounts, and other methods. In addition, Omnistar has the ability for social shares, emails, and sending emails for discounts. This is great because customers get a discount and you get some advertisement for the share. In addition, there's an auto-signup feature where you can turn your customers into affiliates. Lastly, Omnistar affiliates offers two great features, which are contest manager and feedback surveys. Both are great features that will help with your marketing. Ambassador has a good reputation with a lot of companies. Like Omnistar and iDev, Ambassador is compatible with a few eCommerce platforms. The major platforms include WooCommerce, Wordpress, and Shopify. Plus, it seamlessly integrates with Stripe and PayPal. Ambassador integrates with MailChimp and a few more major email marketing providers. Plus, you can automate your email, accounting, CRM, billing, and marketing with Ambassador's API and Zapier. With Ambassador, there's an option for automated cash payouts. Check out the full list of integrations here. Ambassador has multiple marketing strategies in its platform. With Ambassador, you can implement referrals, influencer, affiliate, partner, and brand advocacy. It definitely gives a lot more options than others on the list. Ambassador offers advanced reporting and analytics along with custom branding for your marketing programs. They have an email and CRM integration with full email automation. In addition, Ambassador is fully mobile optimized with a hosted Ambassador portal. Lastly, it comes with Enterprise level security settings and single sign-on. That's just to name a few features. Check out all their features by clicking on "Learn More About Ambassador". LeadDyno is the most simple affiliate program compared to others on this list. Like Omnistar, Ambassador, and iDev, LeadDyno is compatible with a few eCommerce platforms. The major platforms include BigCommerce, WooCommerce, Wordpress, and Shopify. Plus, it easily integrates with PayPal. LeadDyno plays well with Etsy too. I can't emphasize how much I love it when online software can be integrated into multiple platforms. Check out the full list of integrations here. LeadDyno is the easiest to use among all the affiliate plugins on the list. This will make it simple for all your affiliates. They're provided a link and options to email or share on social media. LeadDyno provides simple analytics like clicks, sales, and payouts. It's the only metrics that are important to an affiliate. In addition, the signup process is straightforward. It only requests a first name, last name, and an email. it eliminates all the unnecessary forms and information. WP Affiliate platform is provided by Tips and Tricks HQ. It's an easy to use affiliate recruitment, management, and tracking plugin for your Wordpress blog or eCommerce website. It does its job as an affiliate program management plugin. With WP Affiliate, you can configure banners, links, and other creatives for your affiliates to promote. The banners can be in multiple sizes and it text links are available too. It does a great job with tracking all clicks, leads, and sales. In addition, affiliates can deep-link with a URL generator. Deep-linking means linking to a specific page on your blog or eCommerce website. It's perfect if they want to promote a specific product. WP Affiliate offers a two-tier marketing program. For example, Affiliate A refers Affiliate B to become an affiliate with your eCommerce store. Affiliate B refers Person C to your store and Person C makes a purchase. The two-tier marketing program will reward Affiliate B with a certain percentage and Affiliate A will get a smaller percentage for Person C's purchase. This is a great marketing tool because it incentives affiliates to refer sales and other affiliates. With WP Affiliate, you can automate affiliate application approvals or you can manually approve them. The manual approval is great because you can approve affiliates who fit your branding and control who promotes your products. WP Affiliate stands out from the crowded list by allowing unlimited website installations with a single license. Furthermore, they offer lifetime plugin updates even though their tech support is only one-year. In other words, you will always be using WP Affiliate's latest version. Integrations? WP Affiliate integrates with Ecwid, WooCommerce, Gravity Forms, PayPal, MailChimp, Aweber, Vertical Response, and more. Check out their full integration list here. Magic Affiliates is one of the most talked about Wordpress affiliate plugin. It's been around for sometime; users love them for their easy installation and setup. Magic Affiliates integrates with the two most used Wordpress shopping carts, which are WooCommerce and WP eCommerce. It has the ability to create custom affiliate messages, so affiliates can see it when they log into their affiliate accounts. In addition, there's a recurring commission option and you can set different payout rates for different affiliates. There's no limit to the number of affiliates you can have with Magic Affiliate. You can have 100 or 10,000 affiliates and it's still the same price. Magic Affiliate provides real-time reporting with automatic Mass PayPal payment. You can customize your email templates and signup messages. Magic Affiliate supports multi-language, so it's easy to translate your affiliate program to different languages. Check out all their features here. itThinx Affiliates Pro is another affiliate plugin for Wordpress worth considering. It's one of the best Wordpress affiliate plugin on the market and it seamlessly integrates with WooCommerce. Plus, it has an array of extensions to fully optimize your affiliate program. itThinx Affiliate Pro helps you implement your own affiliate program for your Wordpress site. They have a great plugin ecosystem where you can enhance and perfect your affiliate marketing program. In addition, they have different affiliate plugins like Affiliates Enterprise. Affiliates Enterprise is the plugin with all the features you'll need to start a great affiliate program. Affiliates can automatically register on your website or you can add them manually with or without user accounts. Affiliate registration is a breeze with a notification email. In addition, affiliates can be notified when they make a sale. Also, you can export all your affiliate data with a push of a button. In addition, with itThinx, your affiliates can track the source of their traffic and sales. In other words, the plugin can determine if the clicks are coming from Facebook, Twitter, websites, and etc. It's a great tool because it helps your affiliates optimize their campaigns and switch resources for more sales. In addition, with itThinx, you can create multi-level commission rates where they get paid more for referring more sales. For example, you can set the commission rate at 10% for 10+ sales, 20% for 40+ sales, and so on. It's a great incentive commission structure. Also, itThinx includes a multi-level-marketing program. In other words, your affiliates can get paid for referring other affiliates. itThinx affiliate software for Wordpress makes it easy to track payments and referrals. It automatically tracks sales and credits your affiliate who made the sale. In addition, you can manually credit your affiliate for a sale. Check out our full itThinx review here. AffiliateWP is a solid standalone affiliate plugin. It's the one I used for my own website. The reason I went with AffiliateWP is because of its one-time payment option with lifetime updates and unlimited sites usage. My buddy and I split the cost since he decided to start an affiliate program for his online business too. Plus, we really liked the lifetime updates and unlimited sites usage. 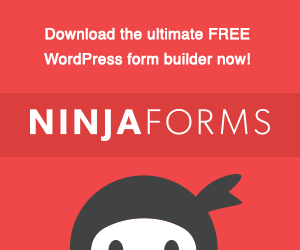 AffiliateWP integrates with Gravity Forms, MemberMouse, MemberPress, Ninja Forms, Stripe, PayPal, WooCommerce Subscriptions, WooCommerce Memberships, and WooCommerce. Full integration list here. What can AffiliateWP do? Affiliate can send automated emails regarding applications, affiliate approvals/denials, referral rewards, and payout notifications. AffiliateWP has a simple affiliate area with the basic tabs like Affiliate URLs, Statistics, Graphs, Referrals, Payouts, Visits, Creatives, and Settings. With AffiliateWP, your affiliates application will automatically create Wordpress accounts for pending affiliates. The accounts will come online once you approve the affiliate application. In addition, your affiliates can deep-link to product pages. AffiliatesWP has 29 different extensions for its main plugin. Check out the Pro add-on list here and the Free add-on list here. AffiliateWP has a list of third-party add-ons. With KryptoniteWP, you can generate affiliate payout statements. Lastly, I went with AffiliateWP for the lifetime updates, unlimited sites usage, and the 3rd party extensions because it fit what I wanted to do with my affiliate program. Affiliate Royale is another great Wordpress affiliate plugin. Affiliate Royale's website looks a little outdated, but don't let it fool you. Affiliate Royale is a simple plugin that does it's job. Affiliate Royale comes with a simple affiliate dashboard, which includes Stats, Payment History, Account, Links & Banners, and Member's Account. Each tab is easy to navigate for your affiliate. Affiliate Royale allows up to 99 different commission levels and you can set cookie expiration. Plus, it's easy to add Links and Banners with Affiliate Royale. There's an admin dashboard for you to keep track of sales, traffic, top affiliates, and more. With Affiliate Royale, it will state the referral's IP address and list all the pending referral transations. The plugin makes it easy to track affiliate payouts and you can easily designate what transactions have been paid. In addition, it easily integrates with Aweber, WooCommerce and MemberPress. Guess what? Affiliate Royale is included with MemberPress. Read more about it here. Yith Themes has created an entire plugin ecosystem for WooCommerce. Yith Affiliates is one of those plugins to help you implement an affiliate program for your online store. With Yith Affiliates, you can automatically set which affiliates gets the commission. In other words, the affiliate who referred the customer first or the last person who referred the customer. If you want, you can assign a customer to an affiliate on a permanent basis. Plus, Yith has an option to automatically pay your affiliates via PayPal once they reach the payout threshold. You can set payouts to occur on a specific day. It's extremely flexible. Yith Affiliates allows you to set different commission rates for products or affiliates. The plugin can associate a transaction with an affiliate for each tracking and payouts. Also, you can track your affiliate's referral history. There's an option to list every customer an affiliate has referred to your store. Yith Affiliates reporting is pretty strong. You can track the best performing affiliate, product, conversion time, and more. Yith Affiliates is a solid option if you want to implement an affiliate program for your WooCommerce store. Ontraport is one of the most complete affiliate plugins for Wordpress on this list. 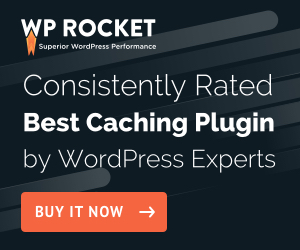 It's definitely more than a simple Wordpress affiliate plugin. With Ontraport, you can sell products, offer discounts, run email marketing campaigns, and implement a membership program. It's an entrepreneur's dream as all of those features aren't offered in one complete package. Ontraport also offers real-time reporting and analytics. It has a visual campaign builder for your marketing campaigns. With Ontraport, you can do about anything you can think of. Like what? You can protect content, send invoices, create a customer center, track user activity, add forms to any page, sync information with a CRM platform, and it comes with a library of templates. Everything is done with one single system versus having multiple plugins for each tool. Also, you can track leads, sales, and new contracts referred by your affiliates. Ontraport automatically generates promotional banners, links, emails, and lightboxes. This makes it easy for your affiliates to promote your products. The sales reports lets you track which affiliate is generating the most sales. There's an option to automatically generate referral emails, so your affiliates know a commission payment is coming their way. In addition, it integrates with a lot of other major players to help you scale your membership website. Read our full Ontraport review here. Ultimate Affiliate Pro is the complete WordPress Affiliate plugin. It provides the most bang for your buck. It has 3,800+ sales on Code Canyon. With Ultimate Affiliate Pro, you start an affiliate program with different rewards and amounts based on Ranks or special offers. What makes Ultimate Affiliate Pro special? Each Affiliate can creates their own marketing campaign via the “Multi-Level-Marketing” strategy. In other words, they can get paid to refer other affiliates. With Ultimate Affiliate Pro, you can create custom account pages for your affiliates with WooCommerce or BuddyPress. The plugin doesn't have a limit on the number of affiliates and it provides a rank system for them. In addition, you can pay your affiliates with PayPal or Stripe. It's completely up to you. Also, there's a "wallet" option, so your affiliates can spend their earnings on your products. Ultimate Affiliate Pro's authors really did create a complete Wordpress Affiliate plugin with Ultimate Affiliate Pro. and more. See the full list here. Wordpress Affiliate & Referral Plugin is the only affiliate plugin on the list with an Android App. Yes. You get an Android App with your purchase of the plugin. Like the others, the plugin offers real-time reporting and email notifications for your affiliates. It's translation ready. There's unlimited referrals and unlimited affiliates with an option to use PayPal MassPay for commission payouts. Wordpress Affiliate & Referral Plugin gives you the ability to create custom URL for affiliate registrations and a list of social media shortcodes for easy sharing. Wordpress Affiliates & Referral Plugin comes with very basic features. There's no glitz and glamour with the plugin. It's very bare-bones and it does it's job for you. There isn't an MLM feature, performance bonuses, recurring referrals, or lifetime commissions. It doesn't include a membership feature. However, it's compatible with WooCommerce, Wordpress, and WP eCommerce. If you're looking for a simple affiliate plugin, Wordpress Affiliate & Referral Plugin is your best option. Plus, it's under US$20. Post Affiliate Pro is one of the fastest affiliate plugin on this list. It runs your affiliate program from top to bottom. It's fast, effective, efficient, scalable, and intuitive. You and your affiliates get an analytics panel to monitor your traffic and promotional materials. There's advance linking section for your affiliates to deep-link to a specific product for promotion. In addition, Post Affiliate Pro integrates with all the major eCommerce platforms like Wordpress, WooCommerce, 3dCart, BigCommerce, Weebly, Ecwid, Shopify, and more. Plus, it's easily integrates with PayPal and Stripe. You can also used Pro Affiliate Pro with Wordpress plugins like MemberMouse, Gravity Forms, WooCommerce Memberships, and WooCommerce Subscriptions. In addition, Post Affiliate Pro seamlessly integrates with Aweber and MailChimp. Check out the full list of integrations here. Why is this important? As mentioned before, it's important because you won't be tied to a single platform forever. You can move your data to other eCommerce, email marketing, payment gateways, and membership platforms if your current one isn't able to handle your increase in business. It gives you a sense of freedom. Post Affiliate Pro lets you implement multiple commission tiers. You can implement payouts based on actions, recurring, lifetime, split, performance rewards, commission groups, and more. With Post Affiliate Pro, you can go beyond the typical text and banner links. You can replicate sites, create promotional PDFs, flash banners, zip banners, and more. Post Affiliates Pro comes with a tons of reporting metrics like online users, top URLs, map overlay, trends, and top affiliates to name a few. Lastly, Post Affiliate Pro has a fraud protection feature to protect you against fraudulent transactions. See all the features here. There is a lot of affiliate plugins for Wordpress on the market. We just went through 14 of the best ones. However, it really depends on what you're trying to achieve with your affiliate program; plus, it really depends on your ultimate goals for your online business. Do you want to stick with Wordpress + WooCommerce and sell products? Yith Affiliate, Affiliate Royale, Magic Affiliate, or Wordpress Affiliate & Referrals Plugin would be right for you. Do you want to stay with Wordpress and implement an MLM affiliate program? AffiliateWP, itThinx, WP Affiliate, or Ultimate Affiliate Pro would suite you. Do you want to sell products with an email marketing solution, start a membership site, and an affiliate program? Ontraport is the way to go. Do you want to implement a simple affiliate program with the option to move to a different platform later? LeadDyno or Ambassador would fit your plans.. Do you want a complex affiliate program with the option to move to a different eCommerce platform in the future? iDev Affiliates, OmniStar Affiliate, or Post Affiliate Pro would be the right choice. Ready To Start Your Affiliate Program?